Handmade Detroit | Spring Craft Market tomorrow! 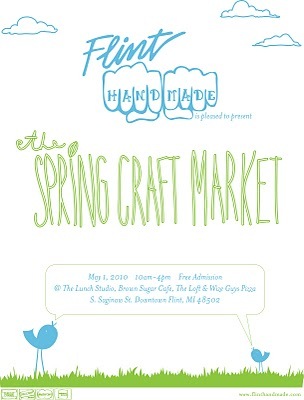 This Saturday head over to Flint for the bi-annual Craft Market, presented by Flint Handmade. Over 60 unique craft vendors will be selling their wares in four different locations in the heart of downtown!